Despite all the changes in the last decade in how Americans access music, AM/FM radio is still the most cost-effective advertising medium today. It's an inexpensive way to reach your existing and potential customers. There are three big variables you want to control when scheduling radio ads: reach, frequency, and consistency. I'm going to touch on each one specifically. Frequency: What is the Magic Number? 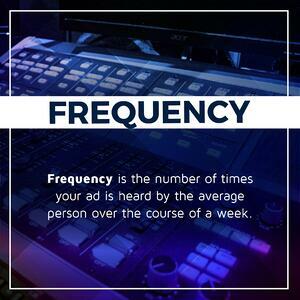 Frequency is the number of times your ad is heard by the average person over the course of a week. How often are you sharing your message with the target audience? Be selective in targeting because you don’t have to reach everyone. Everyone isn’t your potential customer. Once you’ve identified your target audience, it’s time to build frequency. Think of it as talking to people a lot. Advertise in short, but powerful bursts. Concentrate advertising into narrow times of day, such as the morning drive or night show. Dominate a day and saturate a minimum number of radio stations for an entire day. When it comes to frequency, there is a scientific algorithm to determine what is best. It’s about 3.4 impressions per person per week. We round that down to three. This is best achieved using a 21/52 schedule, 21 ads a week, 52 weeks per year. The exact number of ads per week will vary depending on the station(s) you’re buying. 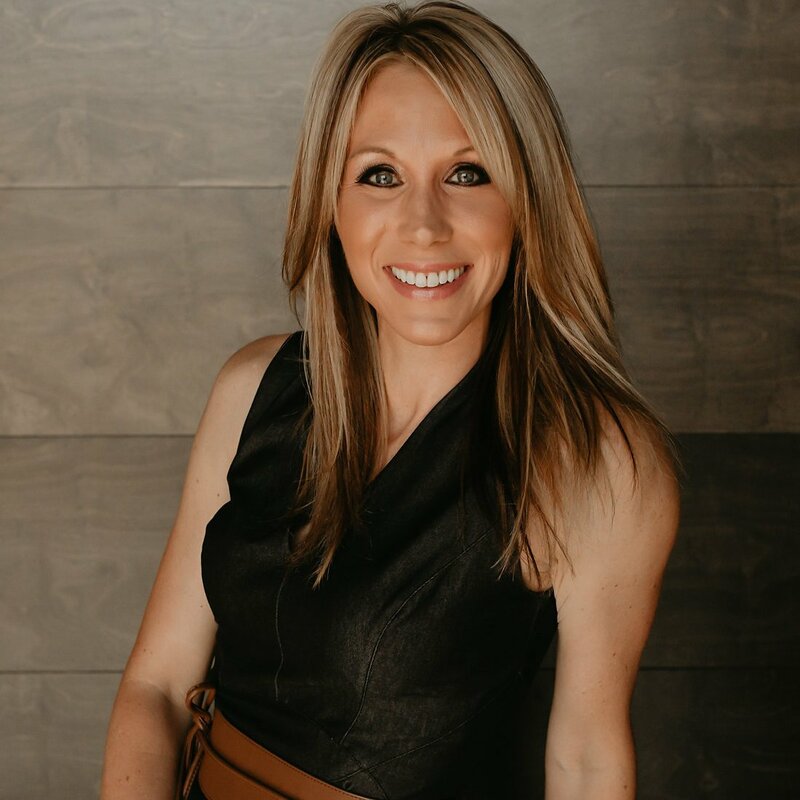 A reputable radio-branding expert has the tools to ensure frequency is included in your branding strategy. The time-of-day you run your commercials will play a major role in how much frequency you can afford per station. Here again, the morning show is more expensive than overnights. It's wise to keep that in mind when creating your radio schedules with your rep.
Having massive frequency on a station can quickly eat through your marketing budget. It also limits your message to just one station, even if multiple stations fit your target audience. If frequency is talking to people a lot, reach is talking to a lot of people. 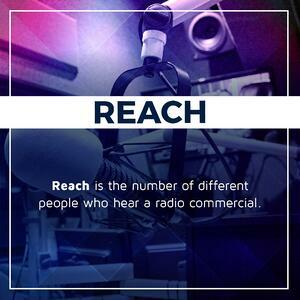 Reach is the number of different people who hear a radio commercial. Taking advantage of short-duration commercials. A High Impact Plan (HIP) using six-second ads at the beginning of every commercial break all day long. Or you could opt for :15 second ads with a short and sweet message. The stations you choose all have coverage areas, or where the stations reach geographically-speaking. Regardless of format and size of broadcast, every radio station thrives on one thing: listeners. Each area has specific data on demographics, and according to recent Nielsen research, radio actually has the most reach among American media consumers. 93% of adults listen to the radio each week, compared to 87% who watch TV. The wide variety of radio formats is a dream for advertisers because radio is so targetable. In essence, your reach is the sum total of the listenership on each station you place ads on. There will be some variances in day-parts. For example, the morning show will have a larger listening audience than overnight programming; however, the above formula still holds true. Every radio station has a coverage map, which is the reach of that station from a geographic standpoint. Generally speaking, a larger geographic reach means a larger listener reach. To build reach with a radio campaign, it's a good idea to advertise consistently over a long period of time. And do so several times per day at peak listening hours, like the morning drive or during popular programs - such as the Dave Ramsey Show, or the CMT Top 20 Countdown. You can maximize reach by advertising on several radio stations - just be careful not to dilute frequency. Advertising on four stations, like the above illustrates, will blow a small advertising budget quickly and inefficiently. You need to balance your reach with other variable to maximize your radio adverting results. Reach and frequency are opposing forces in the radio advertising realm. They compete with each other for dominance. By increasing one, you decrease the other - unless you have more money to feed it. To be effective, your business doesn’t have an infinite budget; however, reach and frequency remain crucial elements for a successful campaign. How do you find the perfect balance? It's easy, ask the experts. Your radio rep can help immensely here. Optimizing reach and frequency based on your specific goals and budget requirements is one of the many things they specialize in. In radio lingo, we call that a 21/52 schedule, or branding. Psychologically speaking, the average person needs to hear an advertising message three times per week for it to be memorable. That’s called a “Three Frequency.” Knowing what we know about radio listening habits and average time spent listening, a message must be played about 21 times per week to reach the average listener three times. This is just one station. Spreading your budget thin across multiple radio stations will maximize your reach, but dilute frequency. I cannot emphasize enough the importance of a strong frequency. If you were forced to choose between reach, and frequency, always choose frequency. “The 1st time people look at an ad, they don’t see it. Notice how the prospect isn’t buying anything until after the 20th repetition of the same message? That’s why you should run a 21/52 schedule. Twenty-one ads per week, fifty-two weeks per year. So, Is Radio Advertising Effective? Short answer? Yes. No other medium can reach such a broad cross section of potential customers as radio can. In addition to the audience, there's the attention factor. Being able to place your company's marketing message in front of a consumer for 30 (or 60) seconds is a gold mine. Compare this to the few seconds the average web browser spends on a single web page. 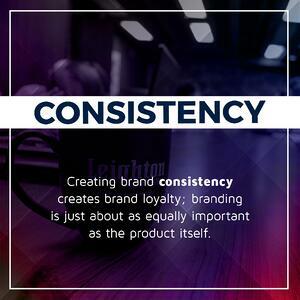 Repetition (frequency) also helps your local radio ad be more effective. While that web browser may never return to that web page, he or she will likely hear your radio ad multiple times. And, of course, repetition enforces recognition. Low production costs are another advantage to local radio advertising. With a radio ad, you don't need a spokesperson or an elaborate set; you just need a good, well-written script. While the glitz and novelty surrounding online radio stations can make it seem that such stations are taking over the market, the truth is that local radio is still as relevant as ever and offers small business owners a way to reach a lot of people without spending all of their marketing budget.